The workhorse of the Brain Imaging Research Center (BIRC) is a Philips Achieva 3 Tesla magnetic resonance imaging (MRI) scanner, a state-of-the-art research scanner, to address focus issues related to human neuroscience. The BIRC will support research and clinical imaging by generating detailed functional and anatomic images. Seeking explanations at the neural network level, the BIRC will provide clinical neuroscience with a better understanding of the causes of mental illness and the specific brain responses to medication and behavioral therapies. Besides working in conjunction with the Psychiatric Research Institute’s (PRI) Center for Addiction Research (CAR), the Division of Health Services Research (DHSR), and the Women’s Mental Health Program (WMHP) in applying imaging neuroscience to existing behavioral research programs, the BIRC will explore the neuroscience of child health and mental illness, childhood adversity, and women’s mental health during and following pregnancy. The BIRC is a neuroscience and neurotechnology resource for the PRI, College of Medicine, UAMS, and the state of Arkansas. The long-term goal of the BIRC is to conduct the kind of human neuroscientific research that has the greatest potential to improve the treatment of psychiatric disorders and prevent illness in at-risk individuals. By doing so, the BIRC will provide novel insights into the biological bases of mental health, enhance patient education of the causes of mental illness and promote a greater expectation of recovery, and guide the development of more effective treatment approaches. The brain is easily the most complex and least understood organ of the human body. In charge of sensing and interpreting our environment, the use of reasoning and decision making to organize behavior, and the expression of awareness, intelligence and emotion, the brain encodes most of our most human qualities. An amazingly adaptive organ, the brain encodes the sum of our experiences, both positive and negative, and the sources of our individual variation. Brain health is essential to health in general and mental illness is the result of disorders of brain structure and function. The mission of the Helen L. Porter and James T. Dyke Brain Imaging Research Center is to contribute to an emerging understanding of the complicated relationship between the brain and human behavior, utilizing state-of-the-art imaging technology and a neural network processing approach. Headed by Clint Kilts, Ph.D., the Brain Research Center (BIRC) is exploring the brain mechanisms behind mental illness and searching for novel insights into the causes of brain-related illnesses such as depression and drug addiction, and the mechanisms of treatment response. 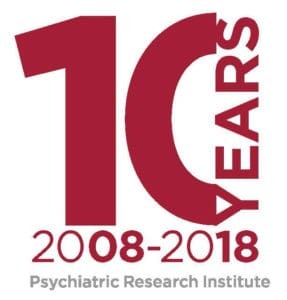 The BIRC strives to be a Center of Excellence for translationally significant research in human neuroscience, particularly in underserved populations, that reflects the priorities of the Psychiatric Research Institute, the College of Medicine, the University of Arkansas for Medical Sciences, and the State of Arkansas. The BIRC also lends it’s resources to investigators seeking to enhance their research with functional MRI scanning. For more information on possible collaborations, please contact Natalie Morris, NMorris@uams.edu, (501) 526-8339.